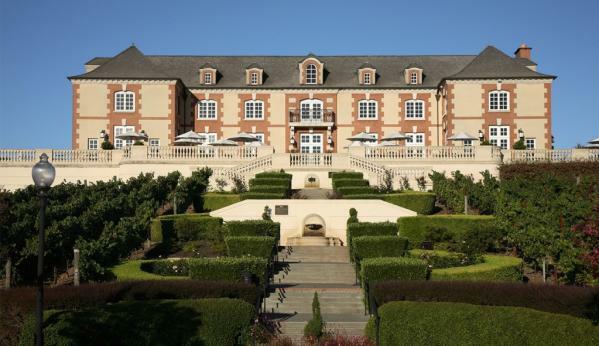 Domaine Carneros is a winery best known for being a small grower-producer of methóde champenoise sparkling wine, Pinot Noir, certified organic estate vineyards, and their breathtaking château perched up on a vineyard hill. The noble family behind Champagne Taittinger in France founded the winery in 1987. They offer a variety of tasting options to optimize your tasting experience, such as caviar. 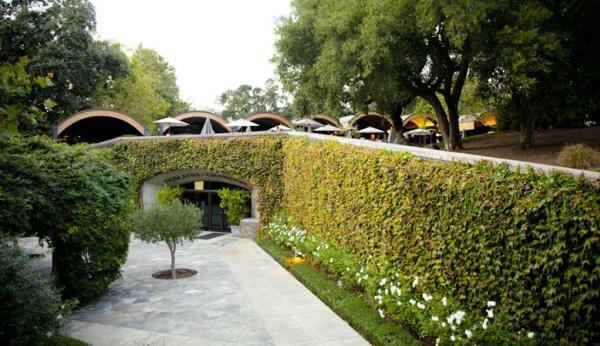 Domaine Chandon was the first winery to be established in the United States by a French wine and spirits producer, Moët Hennessy and produced its first vintage in 1976. 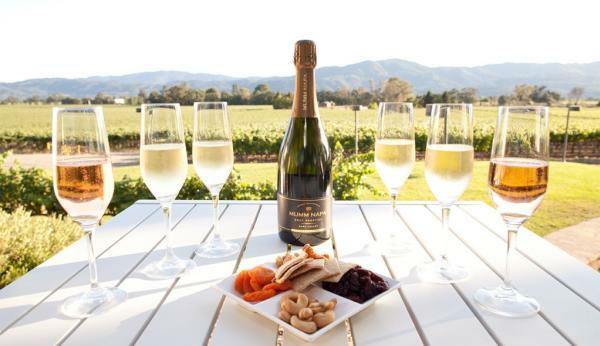 Obviously known for their sparkling wine, they also feature Pinot Noir, Pinot Meunier, Chardonnay and Cabernet Sauvignon. 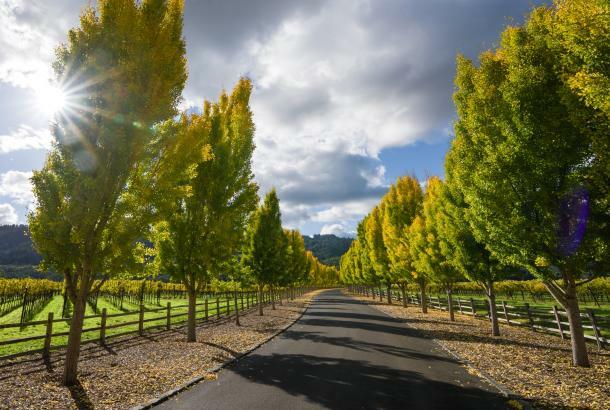 Mumm Napa Valley’s roots can be traced back to G.H. Mumm, the leading international champagne brand in France. 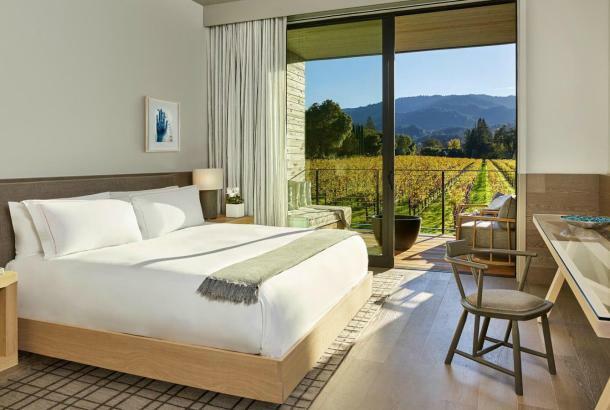 Their beautiful tasting space features panoramic vineyard views and they have an excellent educational tour, which is a great starting point for both beginner and aficionado wine drinkers. They also feature an Ansel Adams photography art gallery. Schramsberg Vineyards’ story dates back to 1862, with the winery’s founding by Jacob Schram. 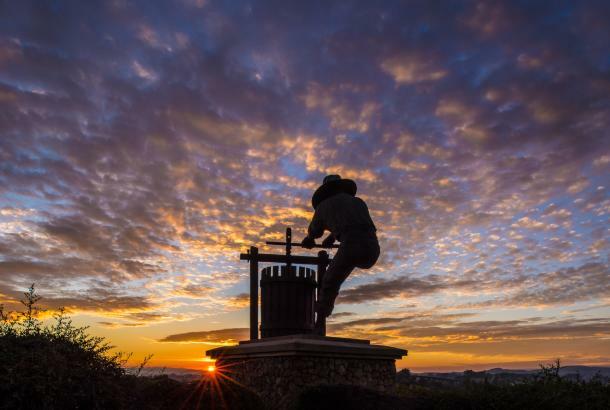 The winery was named a state historic landmark in 1957 and is now owned by the Davies family. 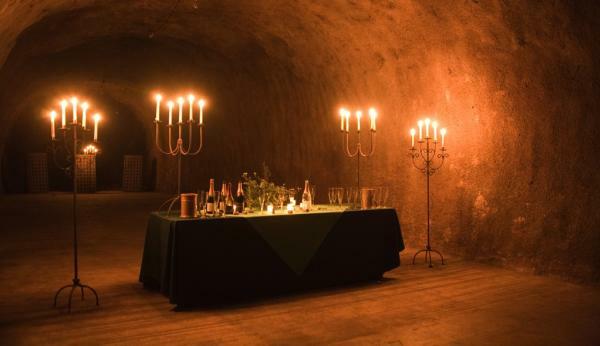 This stunning winery features beautiful wine caves that store the delicious bubbles they are known for. They also feature Davies Vineyards red wines and J. Davies Cabernet Sauvignon. 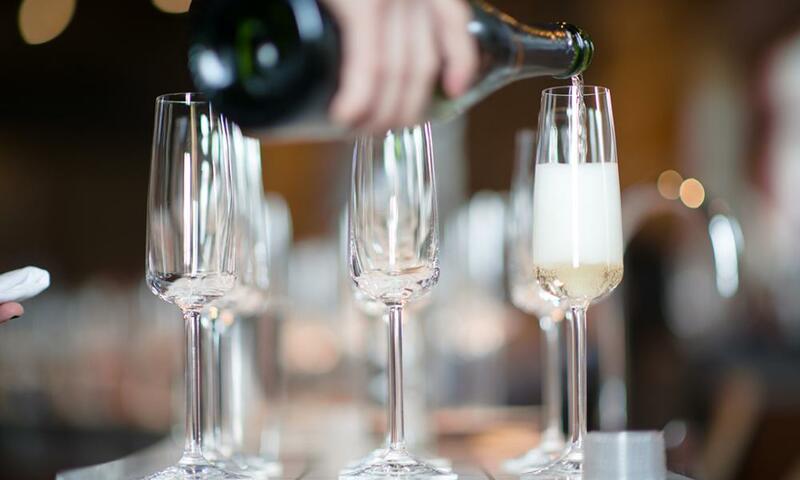 Become a sparkling wine expert by mastering the art of sabrage (as in cutting off the top of your bottle with a giant knife). 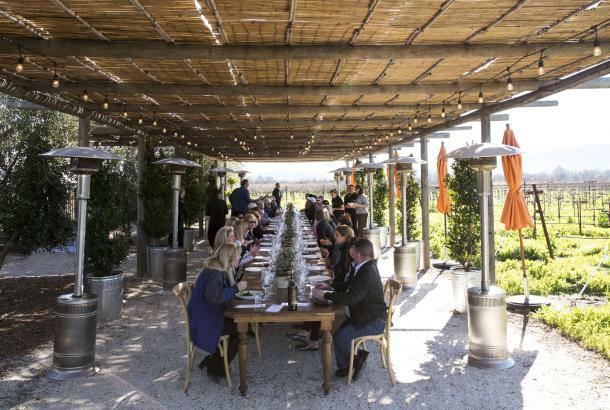 Verve Napa Valley offers an educational component to their tours so you can learn tricks of the trade, safety precautions and other key guidelines to become a Sabrage pro—or simply kick-off your Verve wine country tour with sabrage in the garden and a glass of bubbly. 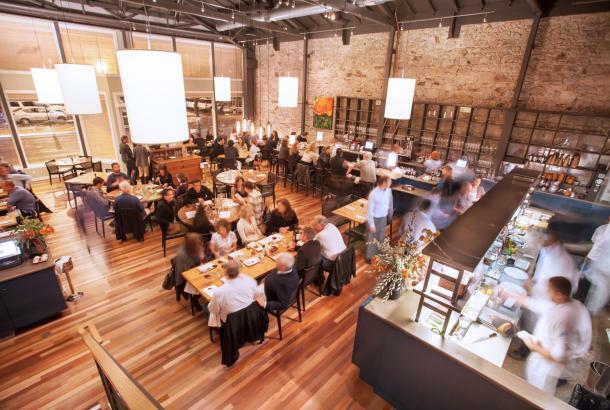 Peju, Merryvale, Artesa, Ca’Momi, Monticello Vineyards and V. Sattui also feature sparkling wine on their tasting menu. 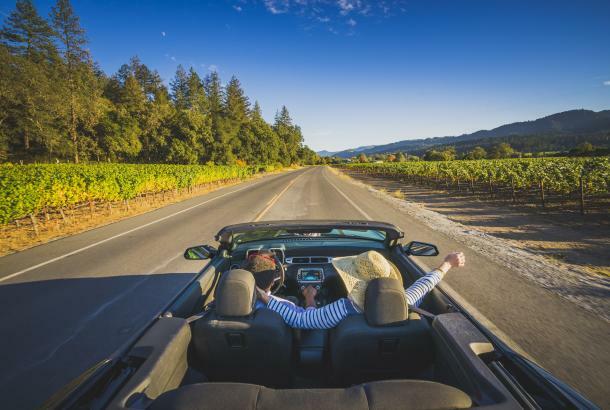 Jennifer is a former editor of the Visit Napa Valley blog.